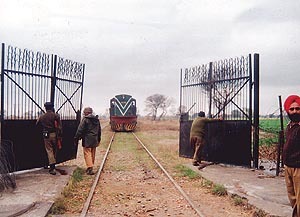 Lahore: India has refused to give entry and security to Samjhota Express scheduled for 12th of October 2015. Pakistan Railways spokesman has said that Samjhota Express is cancelled on the message of Indian authorities who have feared of security threats to the train and its passengers. It would be important to mention here that India has already cancelled Samjhota Express on 8th of October due to security reasons.The 40 passengers of this Pak-India train were being sent to their respective cities.Among that 40 passengers, 20 passengers are Indian and 20 are Pakistani.